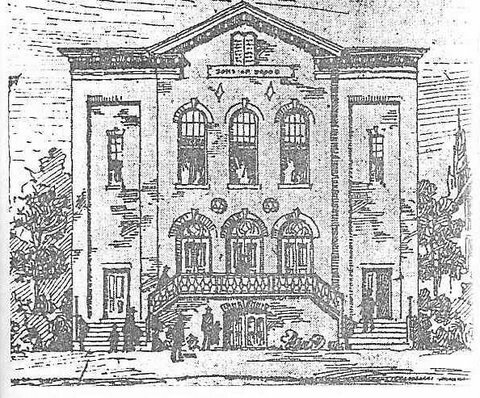 First synagogue in Springfield. 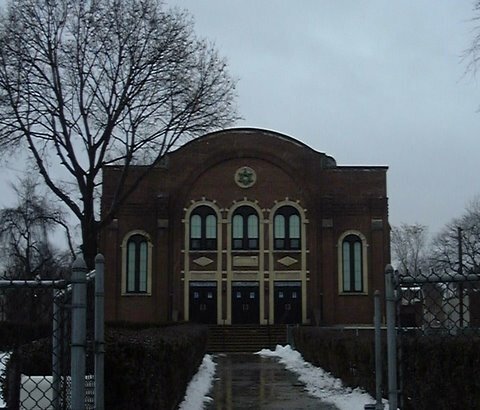 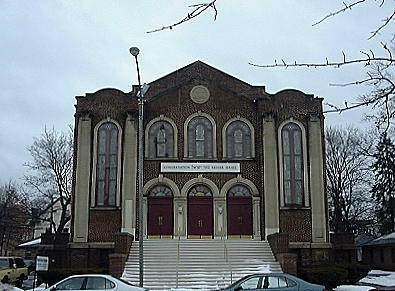 Gray's Ave Shul built in 1895 by Congregation Beth Israel. 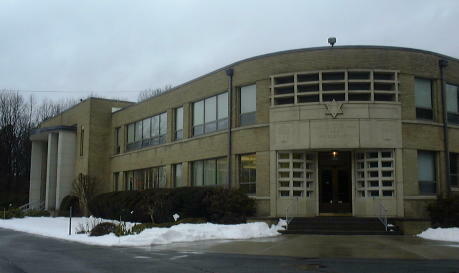 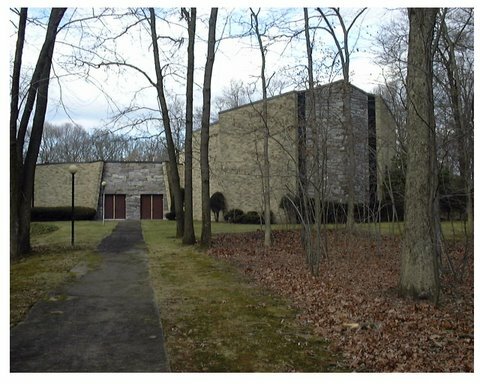 B'nai Jacob building in 1963, Eunice Drive in Longmeadow/Springfield. 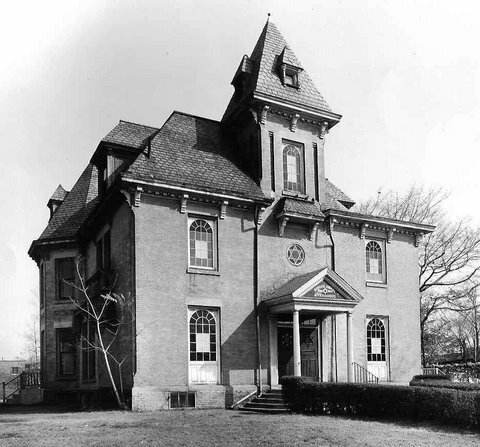 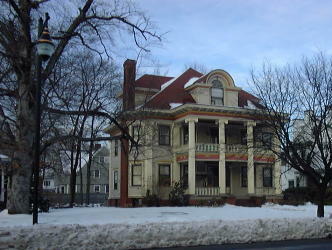 Jobson Mansion 1909, 329 Chestnut St. North End Springfield, First Congregation Kesser Israel location. 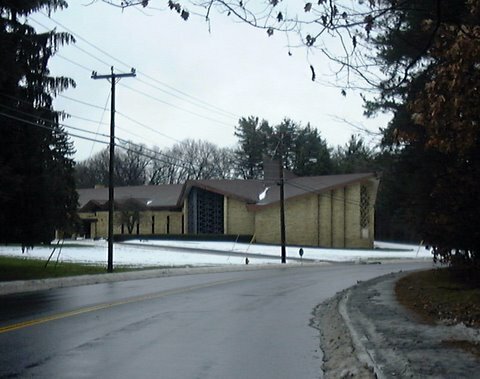 Beth El Congregation built this synagogue in 1953, Dickinson St, Springfield near Longmeadow. 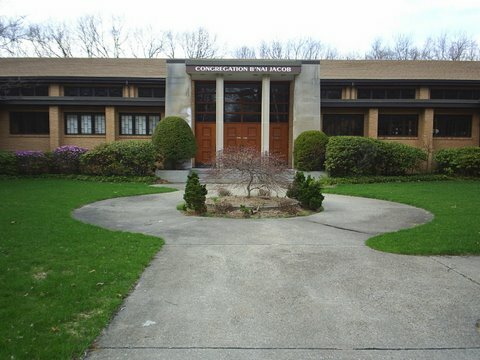 Kodimoh Congregation's 2nd home, 124 Sumner Ave. Forest Park, Springfield. 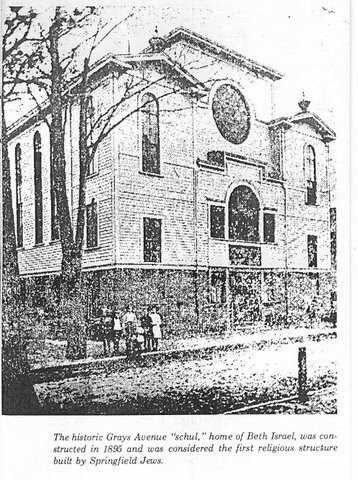 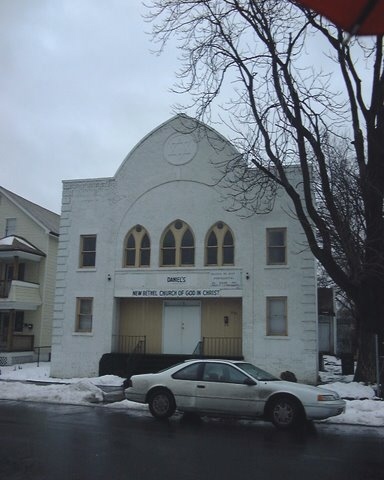 Reformed Sinai Temple's first home, In the mansion at 188 Sumner Ave.
Reformed Congregation, Sinai Temple built their current synagogue in 1950, 1100 Dickinson St. Springfield near Longmeadow.